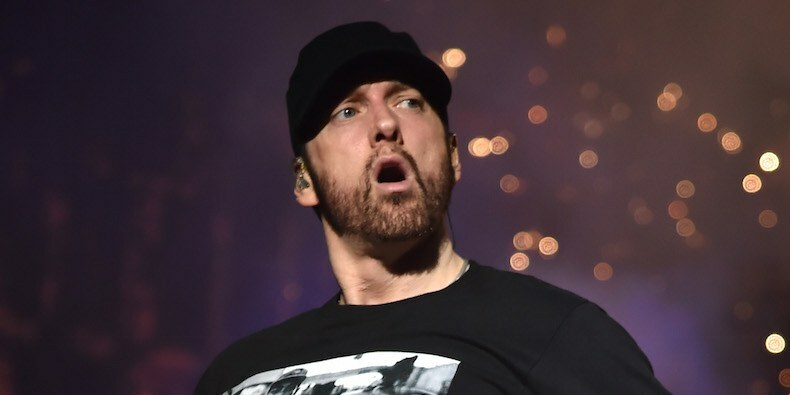 Eminem plans to respond to Machine Gun Kelly’s fiery diss ‘Rap Devil‘, according to the rapper’s right hand man, Mr. Porter. Mr. Porter compared the battle between Shady and MGK to the Thanos vs. Iron Man fight from Marvel’s hit film Avengers: Infinity War. “The one thing I’m worried about— did y’all see the Avengers movie?” he asked the hosts. “Remember when Thanos threw that whole planet at Iron Man? I’m worried about [Em] breaking the planet in half and throwing it at [MGK].” Watch the clip below.